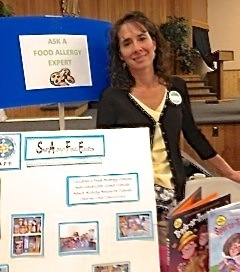 FAACT – Food Allergy & Anaphylaxis Connection Team FAACT is currently my favorite because I find them the easiest to navigate and LOVE their primary focus on education. Their School Curricula Program offers ready to share presentations for the classrooms, beginning with K thru 3. Figure out WHAT KIND of Management Plan Your Child Will Need. IHP? IEP? Or 504? If your child has life threatening food allergies, they may be considered as a qualified student with disabilities under the Americans with Disability Act (ACT) Amendments Act of 2008. Section 504 of the Rehabilitation ACT of 1973 requires that the school district to provide a “free and appropriate education” (FAPE). Then again, this will depend on whether they are attending a school receiving ANY federal funding, and laws can vary from state to state. DON’T be overwhelmed! Your allergist can help you out!